PRAYER PROMPT ••• Our children hurt or sick: Isn’t that our worst fear as parents?? All over the world, families find their lives turned upside down, as they navigate a surreal world full of doctors, hospitals, emergency rooms, operating tables, ICUs, machines, needles, testing, and more. Whether their child was suddenly injured or is simply too young to be battling cancer, behind them are the brave, parental warriors who are trying to contain their fear and be strong for their children. Please join me in prayer for those parents and their children today… all over the world. 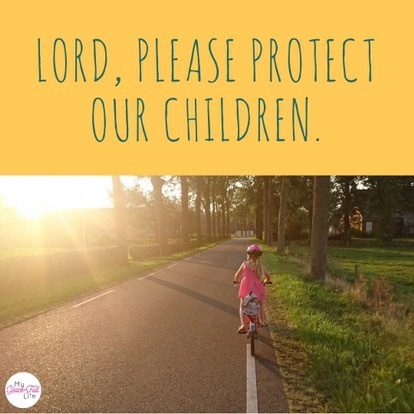 Let’s ask God to bring comfort to families and healing to those who need it, and let’s ask Him to protect our children.